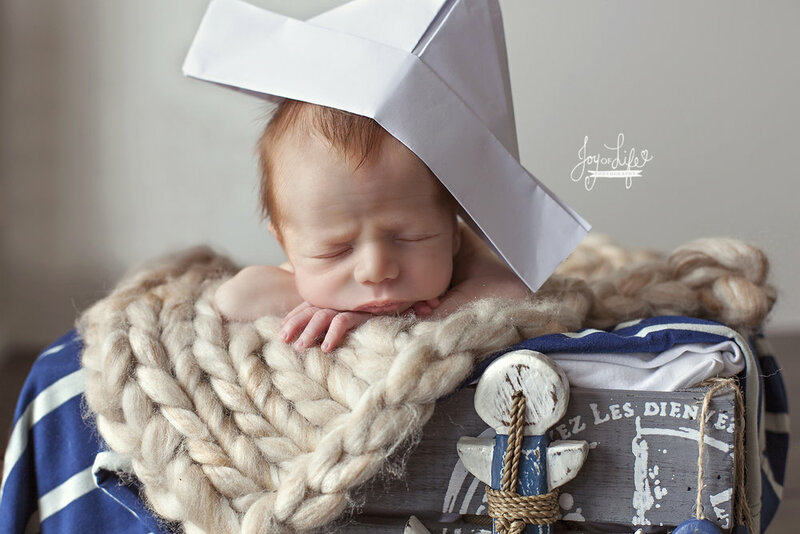 Older babies (in the world of newborn photography that's any baby over 3 weeks old)...sometimes they can be difficult to photograph, especially with "newborn" style images, so when baby E's mom contacted me about setting up a session when she was already over a month old I was a little apprehensive. Still after talking it over and letting her mom know that while we could definitely get some beautiful images I wasn't sure that we would get those sleeping newborn images that everyone loves, we decided to go for it and see what we could get. By the time the session date rolled around Baby E was 2 months old. Imagine my surprise when this precious girl slept through her entire session, only waking up long enough for us to get some beautiful eyes open shots. In fact, this session is pretty high up there on my list of my all time favourites! In case you are curious, usually newborns are photographed within the first 3 weeks, simply because during this time they tend to by more sleepy, they sleep more often and more soundly, they still have that newborn look, and they still tend to retain a lot of the curliness from the womb for the first few weeks which means that not only is it easy to get those curled up poses, but many babies actually really love to be in those positions. As they get older they begin to spread out their sleeping more and more, and often sleep less soundly. They also tend to lose that sweet new baby curliness. That said, after doing this session I have realized that there are some great benefits to photographing older babies as well! 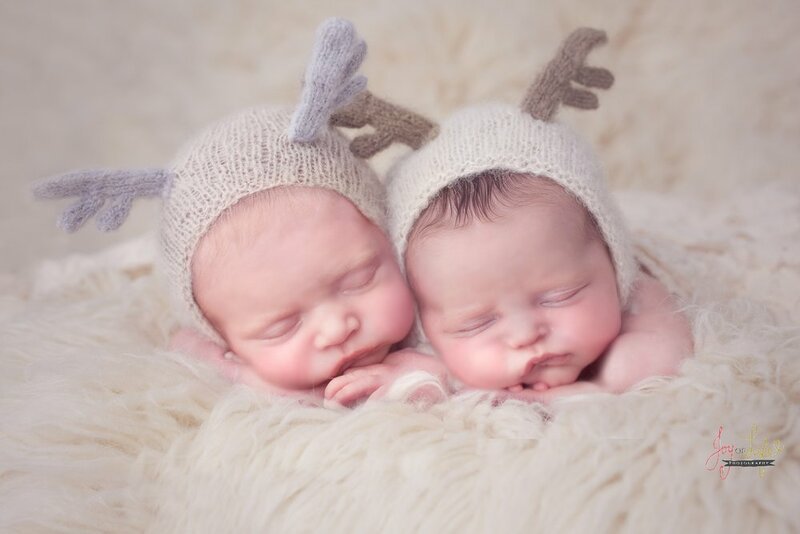 Their skin has lost the newborn redness and they have already made it through the peeling and baby acne stages that so many newborns experience, they are able to focus their eyes which means awake photos are much easier to achieve. Awake photos with newborns can be difficult because their inability to really focus their eyes often results in "crazy eyes". Also, older babies have often settled into more concrete feeding and sleeping routines so it can be easier to predict how they will act. I will definitely be more open to doing newborn sessions with older babies going forward because seriously, does it get any cuter than this girl and these images? Sweet Baby L came to see me for her newborn pictures in the evening. 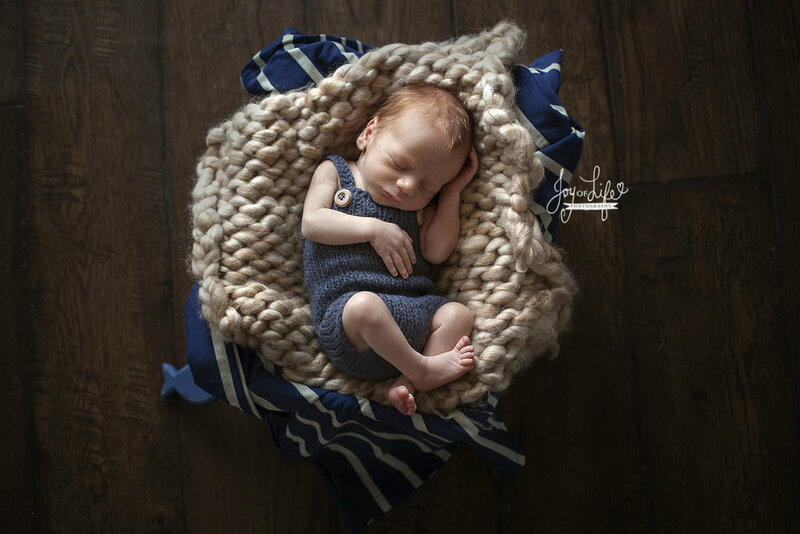 I normally do newborn sessions in the morning so I wasn't sure how it would go. I didn't know if the time of day would affect how much she slept, how often she wanted to eat, etc. As it turned out, I worried for no reason. This beautiful little one slept the ENTIRE session! Plus the weather cooperated beautifully which allowed for us to do something we very rarely get to do here in Ontario, take some newborn pictures outside! Baby L is the only baby I've photographed outside since we moved to Orangeville, but now, with our new property, and the warm summer weather, I'm hoping to get the chance to do it more often. 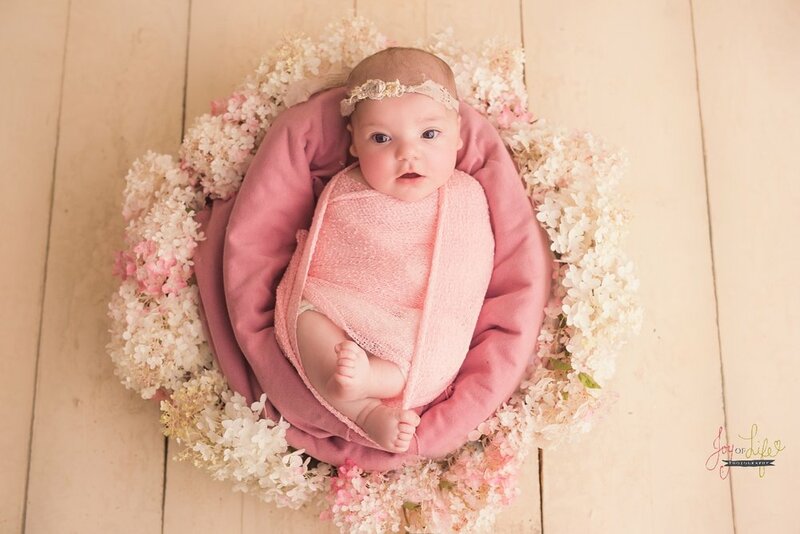 Baby Hazel came to see me in my studio just outside of Orangeville, Ontario, just one day before Easter so I couldn't resist doing some gorgeous spring setups! This sweet girl was an angel for her session. Slept so peacefully the whole time and gave me the most amazing expressions too. We had fun working some of her family's special things into the session, which is always something I like to do whenever possible. I love coming up with creative ways to express each family's personality and interests. Also, I just have to say, I really thought my new studio space was so small that I would find it difficult to use, but I'm loving it! It's so cozy and it stays so nice and warm for the wee ones. 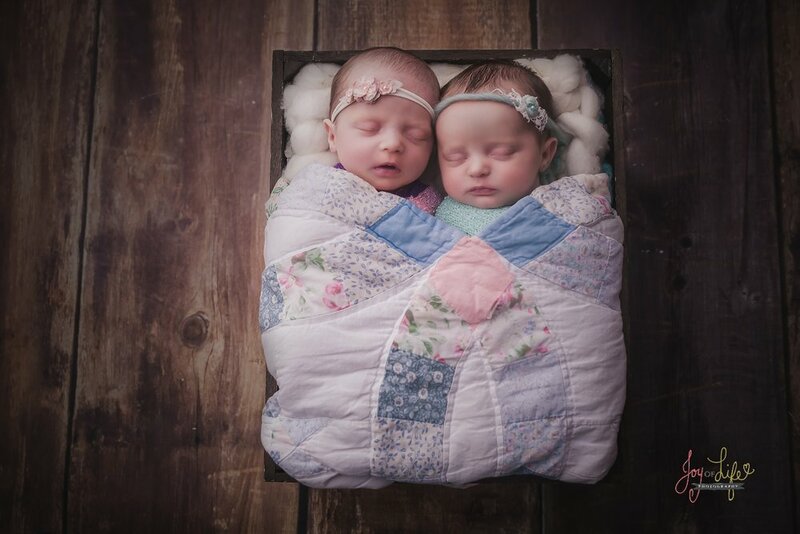 So far the babies I've photographed here have all slept like angels! Oh, and I've even included a sweet little video for you guys because really, the cuteness was just killing me!